Right Hand Bearing Kit replaces Snapper 60278. Fits 26" thru 33" Cut Riding Mowers. 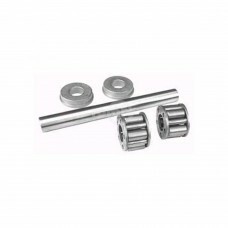 Kit Iincludes ou..
3/8" X 5-5/16" Axle Kit for 16" & 20" Yazoo Mag Wheel.Replaces:SUNBELT B1SB5901.. 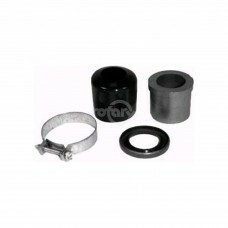 Replacement Wheel Bearing Kit for our Bobcat, Grasshopper & Scag Wheel Assembly #3276. Kit comes wi..
Wheel Bearing Kit for Dixie Chopper. Fits Dixie Chopper 10202 & 97166 Wheel Assemblies. 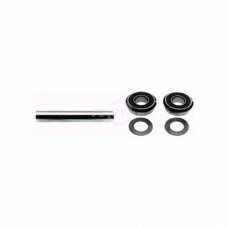 Also fits ..
Wheel Bearing Kit fits Scag # 481551 Front Caster Wheel Assembly. Used on ZTR Turf Tiger Model. 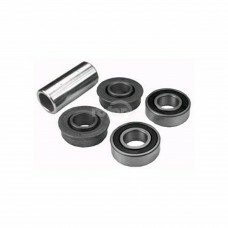 Ki..
Wheel Bearing Kit for Exmark. 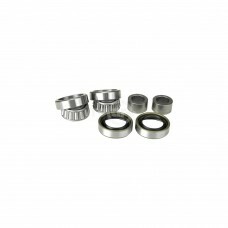 Includes (2) 09-813 Bearings, (2) 10-10013 Seals, (2) 09-10064 Spac..